There are many powerful stories about the moon. Love, passion, purity or magic are part of the tales. But the most striking story has nothing to do with ancient myths, legendary narratives or common believes. 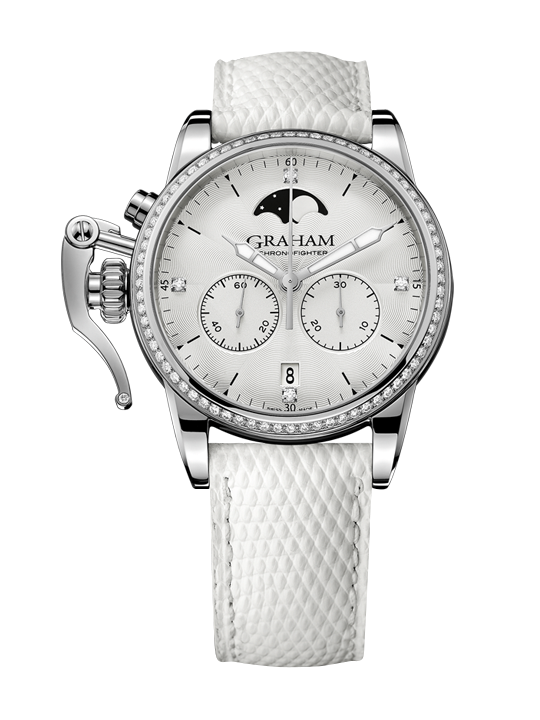 GRAHAM takes care of women by creating a new Chronofighter Lady collection which combines pure astronomy and graceful watchmaking. With a luminous moon phase and high-precision quartz movement, this timepiece is an ode to femininity and refinement with the charming GRAHAM touch. 4-1/2 year mercury free battery.